The project involved a major refurbishment and extension to a 6 storey reinforced concrete office block in the centre of Bristol. The existing building, constructed in the early 1980’s, was rather dated in appearance and had a restricted floor to floor height and no air conditioning. The building was ‘U’ shaped on plan, and the refurbishment works included constructing a 5 storey extension across the open leg of the ‘U’ to form additional office space. 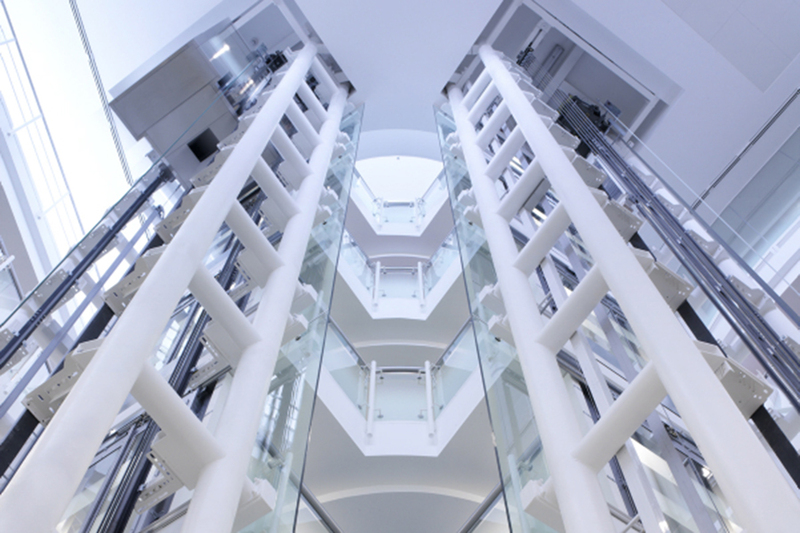 The resulting open area in the centre was roofed over to form a spectacular atrium which incorporates 3 fully glazed lifts. The new steel framed extension employs a hybrid ‘parallel beam’ and ‘slim-floor’ construction to achieve an overall structure depth of 250mm with spans up to 7m. Alterations to the existing structure included cutting large holes in the floor slab for service ducts, demolition of an existing lift shaft, construction of a new lift shaft and enhancements to existing concrete shear walls, which required detailed modelling of the original concrete structure. The resulting office space is light and airy, fully air conditioned and incorporates high quality finishes.